Also at his Liederabend at the Salzburger festival yesterday on Sunday evening he left the impression not yet to have found the way back to his old class. The APA met the 38 year old Mexican on Monday for an interview. APA: Mr. Villazon, you want particularly to talk about "Red Nosed Clown Doctors". Very well. Why do you support this institution? Villazon: Because I consider it particularly important. When the Clown Doctors came to me, I was immediately enthusiastic. I worked as a clown when I was 18 years old. What the clown doctors do is more than maintenance. There are already 230 artistically and psychologically trained clowns, who in eight countries go into the hospitals, and the ill, partially very seriously ill children to give them strength and perspective. Thus healing is substantially accelerated. My role therein is not more and not less than helping to make this singular institution more well-known. APA: To music: you have released an album with the title “Mexico." On listening it has comparatively popular, not to say commercial songs in orchestral arrangements. How does this fit your opera career? Villazon: Everything that I do, is an affair of the heart. This music is a part of me. I grew up with it. I heard these songs from my grandmother and then from my mother. The first concerts of my life covered this music. I have released CDs with music of Verdi, Donizetti or Händel - why not sing something else? In addition the year 2010 is a completely special year for Mexico, where the country celebrates 100 years since the revolution. The CD and DVD will appear in this coming September and are my contribution to this great celebration. APA: How did you feel yesterday at your Liederabend in Salzburg? Villazon: It was a very beautiful evening. A Liederabend at the Salzburg festival is always a special challenge. The appearances in Salzburg are among the most important in my life. APA: Did you survive your vocal cord operation well, do you feel completely fit again? Do you feel again like the old person? Villazon: Absolutely. I am happy that the problems of the previous year are past. If there is still any problem, then it is a problem like every singer has. So I had problems with Reflux (return flow of gastric acid into the esophagus, note) in the last weeks that I had to deal with. But otherwise I am good. APA: Well one week ago you had to break a concert off in Copenhagen after a few minutes. Do you want to describe what was going on? 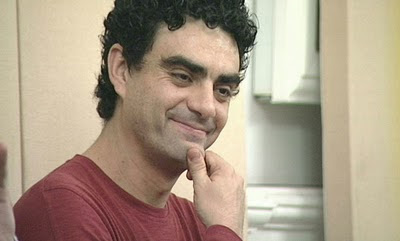 Villazon: There I was unfortunately not yet recovered. I do not want to say more about it. APA: By your career break of the yearly 2007 as well as your vocal cord operation 2009, has this changed your voice and career? Villazon: Essentially not. I remain the same singer. The body, the muscles and the whole life change, and just like every singer lives through different periods of his career. There is great pressure again and again, and it must be like that. APA: So you will continue on completely normally. Villazon: Naturally. 2011 I will particularly concentrate on Mozart and Ottavio in “Don Giovanni," as well as sing "Re pastore." In addition, "Tales of Hoffmann," a Massenet production and also sometime a “Tosca" stand on my plan. What makes me less happy, however, is that contracts in the opera must be locked in up to four, five years in advance. That is as if one asks a painter what he wants to paint in five years. That would be absurd.